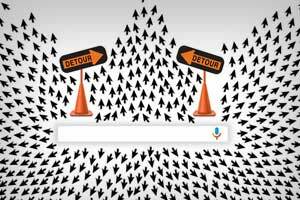 Goopocalypse: Is Google the World's Biggest Monopoly? Our society is heading towards an impending apocalypse – one that will wreak havoc on your human rights and destroy the concept of freedom and privacy. At the forefront of this is the biggest global monopoly today: GOOGLE. This technology giant is now getting closer and closer to infringing on your private rights. From childhood education to subsidizing patented meat substitutes1 and even meddling with healthcare, Google is viciously injecting itself into our day-to-day lives – to the point of abuse and deception. And it does this by monopolizing the Internet and utilizing its personal information tracking and sharing services, as well as its high-tech gadgets. Case in point: Google Home Mini, the company’s “smart speakers” released in October 2017, can apparently “spy” on users by recording audio without their permission – and then transmit the recorded sound bites to Google!2 If you are truly concerned about your privacy and your ability to obtain truthful information about crucial matters like your food and health, then you need to open your eyes and see clearly whose side Google is really on (Hint: It’s not on yours). Can You Still Trust Google? There is no other company in the world operating in breach of antitrust rules as blatantly as Google. As the adage goes: “Absolute power corrupts absolutely.” After all, what can you expect from a company that allots massive amounts of corporate spending on lobbying, in an effort to eliminate competitors and gain power over others? 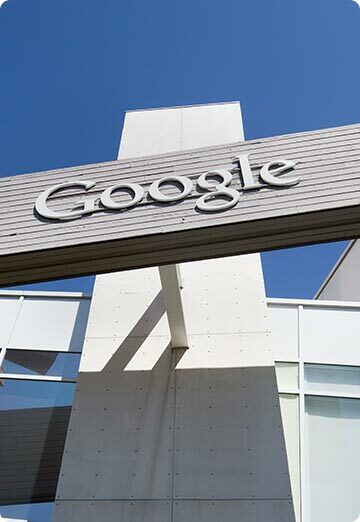 "Google has established a pattern of lobbying and threatening to acquire power. It has reached a dangerous point … The moment where it no longer wants to allow dissent … Once you reach a pinnacle of power, you start to believe that any threats to your authority are themselves villainous and that you are entitled to shut down dissent. [I]n recent years, Google has become greedy about owning not just search capacities, video and maps, but also the shape of public discourse. As the Wall Street Journal recently reported, Google has recruited and cultivated law professors who support its views." Most users today actually have very little understanding of how the search engine ranks different sites, and how exactly the equation works – and Google is the only one who holds the answer. The rest of the world only has to take their word that these equations are done without any trace of prejudice. But can they be truly trusted to remain unbiased? But here’s the truth: This is nothing more than a powerful attempt to control what users see in favor of their own company interests. “Raters have to stick with Google's interpretation of what an average user is—or risk getting their hours cut. This step to prevent “problematic searches” is just a way for Google to push for agendas that fall in their favor – censoring information that’s not in their best interests. Perhaps one of the strongest proofs of Google’s abuse of power is the launch of its depression self-awareness quiz, which, no matter what answers you give, funnels you toward a pharmaceutical drug solution. 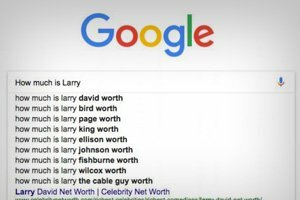 The quiz, which was launched in partnership with the National Alliance on Mental Illness (NAMI), makes it clear that Google is getting deeper into the drug promotion business. In fact, the quiz was actually sponsored by drug manufacturer Eli Lilly, creator of the antidepressant drug Cymbalta! So just how intricately and aggressively does Google infiltrate people’s lives and privacy? These thoughts voiced out by the one of the company’s most senior executives should give you a clear idea of just how the company abuses its power to strengthen monopoly and manipulate the world.15 Take a look at the video below and see how creepy those quotes acutally sound coming out of someone’s mouth. Here’s What YOU Can Do: Boycott Google Now! A gigantic, multi-faceted super entity that wraps its many tentacle-like arms around the government, health care, education and more – this is exactly what Google has become. This monster of alarming proportions works to push in interests for the sake of for profits and gains, while squashing your privacy and preying on your personal information. Stop using the Google search engines. browser and use Opera instead. Close your Gmail account and switch to a non-Google affiliated email service like ProtonMail. Do not use Google Docs and use alternatives instead. Students should also refrain from using Google accounts into personal accounts. 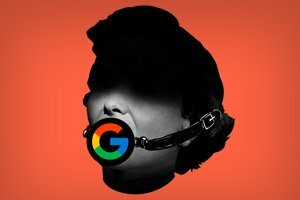 Finally, make sure to sign the “Don’t Be Evil” petition by Citizens Against Monopoly, which calls for Google to stop trying to silence writers and researchers who are tirelessly working to promote sensible antitrust enforcement. SAN FRANCISCO — When David North, the editorial chairman of the World Socialist Web Site, noticed a drop in the site’s traffic in April, he initially chalked it up to news fatigue over President Trump or a shift in political consciousness. The story in the New York Times this week was unsettling: The New America Foundation, a major think tank, was getting rid of one of its teams of scholars, the Open Markets group. Five to 10 years ago, independent bloggers used to be able to get by on internet advertising, like the broadsheets of yore. But that changed quite quickly, and for two big reasons: Facebook and Google. 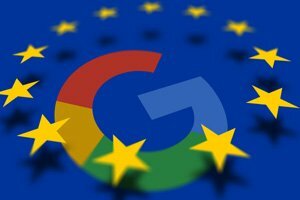 Google has filed a legal appeal against a record-breaking fine handed down by the European Commission this summer for anti-competitive behavior relating to the operation of its product search comparison service, currently known as Google Shopping. 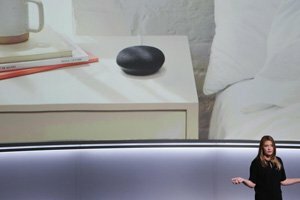 It turns out that some Google Home Minis, the smart speakers that the company released in early October, were almost continuously recording audio from users’ homes.